Originally designed in the 17th and 18th century as a temporary structure to house citrus fruits in the winter, orangeries soon became a symbol of wealth and were a popular addition to grand homes in the Georgian period. Traditionally, the design was characterised by large windows and a combination of brick and stonewalls with either a flat roof or multiple roof lanterns. 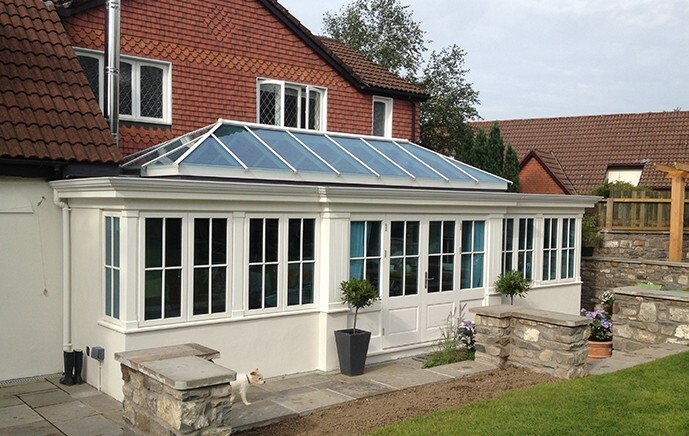 Today, unlike conservatories, a modern orangery is built with glass walls and has side elevations partly constructed with hard wood (engineered timber), Oak or stone. 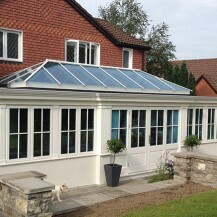 The inclusion of brick pillars means that an orangery can offer more privacy than a conservatory and they can be much easier to heat in the winter. The combination of brick and glass also helps to match the existing character of any home. 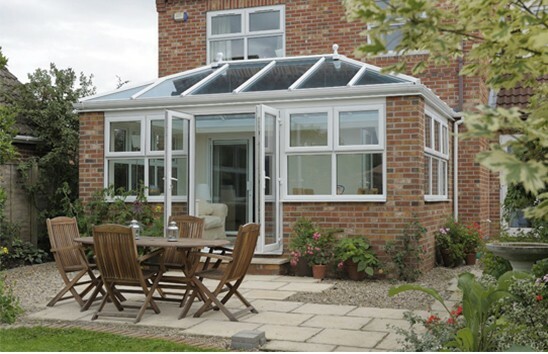 As orangeries tend to be constructed using brick, they look and act like an extension of your home and provide a multi-purpose living space that can be used as anything from a kitchen and dining room, to a living area. 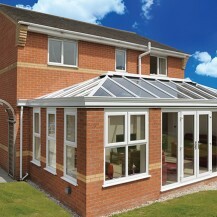 An orangery is a practical choice when looking to add style, space and functionality to a home. 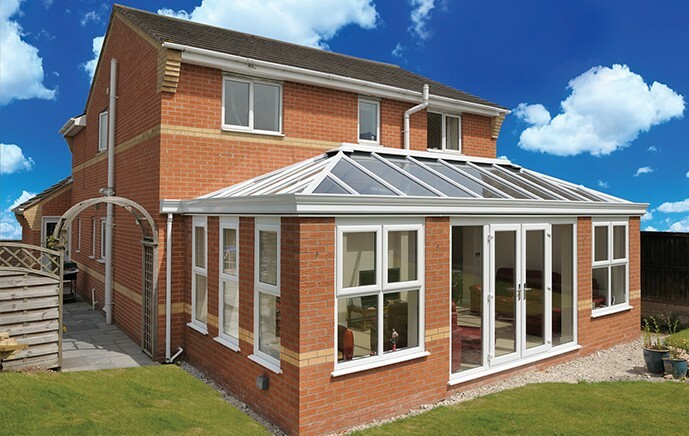 When coupled with bi-fold doors, orangeries can also help to increase the amount of natural light into your home, whilst offering an outlook onto your garden. 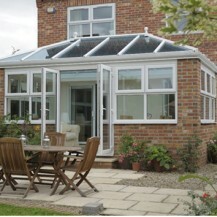 Orangeries can be designed in a variety of shapes from Victorian, Georgian, Lean-to and Gable. To further enhance your orangery, the addition of downlights and speakers built into the roof offer the opportunity to create a truly bespoke living space, and decorative gutter fascia’s can also be included to provide external details.